The Iran Agreement Is Historic. Will Congress Destroy It? Let’s call opponents of this deal what they are: warmongers. Just wait for the congressional freakout that comes if world powers and Iran sign a comprehensive nuclear accord this summer. 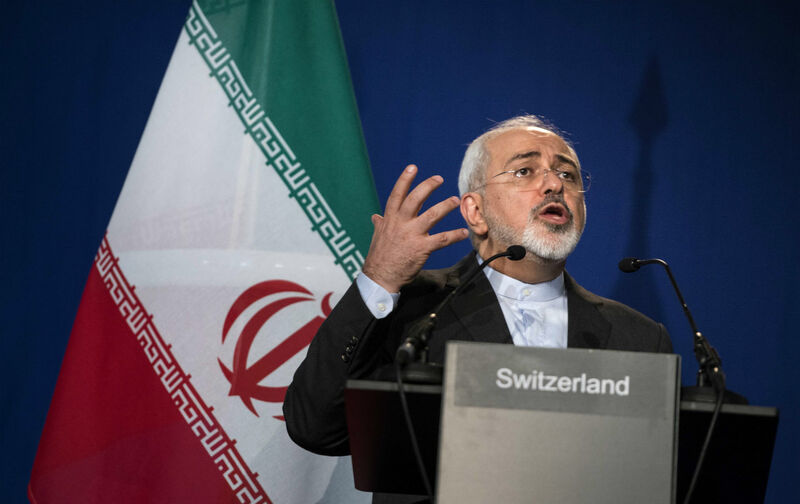 Negotiations advanced on Thursday with a framework agreement between Iran and the P5+1—the United States, UK, France, China, Russia and Germany—that maps out the imposition of restrictions on Iran’s nuclear program in exchange for sanctions relief. The sides will now begin to draft the final accord, due by the end of June. That leaves plenty of time for the most hawkish and recalcitrant members of Congress to try to scupper talks. And if the reaction to Thursday’s agreement is any indication, they most certainly will. Take Mark Kirk, the Republican senator from Illinois and AIPAC stalwart. A leader in efforts to sanction the Iranians—even during the last year of talks, when it would spell the end of negotiations—led the way with the most outlandish statement. Building on his past theme comparing negotiations to the Munich Agreement that ceded the Sudetenland to Hitler, but didn’t satisfy the Nazi appetite for conquest, Kirk lashed out. “Neville Chamberlain got a lot of more out of Hitler than Wendy Sherman”—the State Department number three—“got out of Iran,” he said. That talking point belies what proponents of an Iran nuke deal have been saying for years: that those opposing a compromise want war. The stale neoconservatism that dominates Kirk’s thinking—and fear-mongering—doesn’t dictate that Chamberlain should’ve gotten a better deal in Munich, but that Munich should never have happened and Europe should have gone to war against Hitler earlier. These congressional reactions are of course the most outlandish, but they don’t bode well for hawks’ effort to wrangle support for deal-killing measures. The hyperbolic rhetoric and sloppy statements will make it still more difficult for Democrats to sign on with them. If anything, Kirk’s ideological rants should shame those Democrats who already did work with him. Kirk and AIPAC’s most frequent Democratic collaborator, New Jersey Democrat Bob Menendez, took time away from pleading not guilty to federal corruption charges yesterday to release a brief, mild-mannered statement on the agreement that departed sharply from Kirk’s tone. Earlier this week, another nuclear expert skeptical of a deal, former administration non-proliferation czar Gary Samore, who works with a hawkish anti-Iran group, told a Columbia University audience that Congress was unlikely to reject any deal. (Samore, who has the ear of Congress, told the Times yesterday he found the new agreement’s key provisions to be “very satisfactory.”) But in downplaying likely congressional intransigence, Samore got the big issue wrong: he cited the difficulty for Congress of putting sanctions back in place if it rejects a deal. Congress’s demand for a vote on a final deal isn’t on its own unreasonable. But, when Congress is controlled by Republicans hellbent on quashing every item on Obama’s agenda, seeking to avoid their official input isn’t either. The fight over getting an up-or-down vote—a Republican led proposal garnering some Democratic support is deeply flawed, for instance, and a Democratic alternative is unlikely to win many Republican votes—will now become the central front of the congressional-executive war over Iran diplomacy. Kirk, still pressing the stalled sanctions bill he introduced this winter with Bob Menendez, who never saw a hawkish GOP Iran bill he didn’t like, has proven himself a warmonger. Any Democrat or Republican who follows his lead will expose themselves, too—and should be held to account for it.